Showing results for tags 'classic shoes mens'. Just like to say hi to you all! 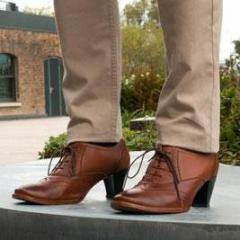 I am a British shoe designer that has designed both mens and women's shoes. Currently I'm working for a company called Cross Sword that produce classically styled handmade high heel shoes for men.